“Dear children, let us not love with words or tongue but with actions and in truth” (1 John 3:18). The Commission on Special Ministries offers spiritual and other services to people whose needs are not adequately met by the regular ministries of WELS parishes, schools, and agencies. WELS Special Ministries reaches out to individuals, congregations, and families to offer specialized services and resources to address the special need(s) with which they are confronted. We serve people who are physically, mentally, or emotionally in need of special consideration in regard to their ability to learn, worship, and participate in local ministries and everyday living situations. We also serve thousands of people who are away from their church home, such as military personnel, people living overseas, and those in prison or some other institution. Special Ministries offers spiritual and practical guidance and training to congregations and individuals as they share God’s love to those with special needs or in special circumstances. To carry out our mission effectively and efficiently, we have appointed committees to focus on eight areas of special need. While we gladly serve members of our own synod, our Lord continues to provide opportunities for us to also proclaim the gospel to people who are unchurched or have fallen away from their former church. Special Ministries resources for called workers and congregational leaders are available on the WELS Resource Center. 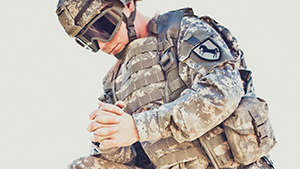 The Commission on Special Ministries (CSM) has established a program for chaplain certification. Nurses working together as servants of Christ. The Organization of WELS Seniors (OWLS) offers an active alternative to inactivity for people retired and/or 50 years old. Contact WELS Special Ministries for more information.